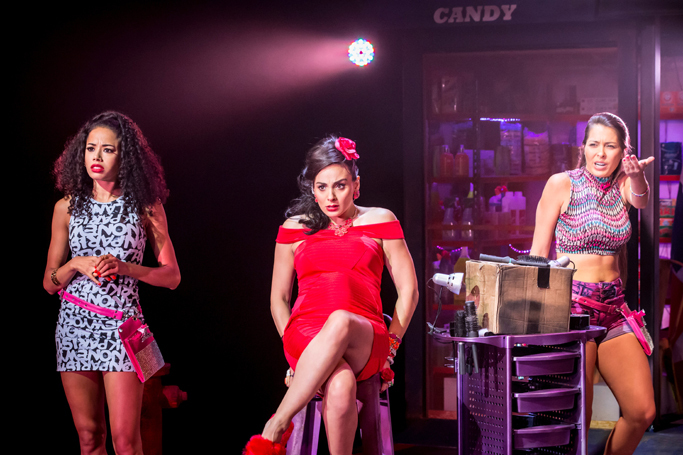 The moment you enter King’s Cross Theatre to watch the eagerly awaited return of last year’s production of In the Heights you know you are in for something special. The foyer has been transformed to fit the theme of the show. New York Metro maps are hanging on the wall, there’s graffiti decoration, chain of lights hanging from the ceiling and salsa/latin music is filling the air. All of this sets the mood for a show that had its European premiere at Southwark Playhouse last year (find my review here). The first thing I noticed is how vibrant and alive this production feels. From the first appearance of Graffiti Pete right until Usnavi leaves the stage at the end of the show In the Heights oozes energy. One of the things I loved most about the Southwark Playhouse production was the intimate setting. And I am happy to report that this intimacy has not been lost in the new venue. You still feel like you are right in the middle of the story – transported from cold London right into the heat of Washington Heights. And there you meet Usnavi, Sonny, Nina, Benny, Vanessa, Abuela, Daniela, Kevin and Camila, all of them fighting their own battle, trying to live their life in the neighbourhood. 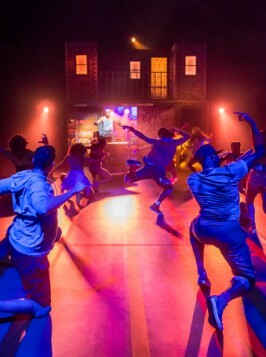 In the Heights tells a universal story – we all have our struggles and each of us can probably relate to at least one character in the show and their problems: The fear of not being good enough, the struggle to fit in, lack of money and so on. Sam Mackay once again steps into the role of Usnavi and gives what I would call a career-defining performance. He doesn’t just “rap” the lyrics – he tells a story, a story that he seems to truly live and breathe for the duration of the show. It’s one of those performances that you will remember for a lifetime. Another stand out in the show is without a doubt Victoria Hamilton-Barritt who appears to have endless supplies of energy. Her Daniela is witty and a little saucy but always likable. Lily Frazer is a new addition to the cast. She shines as Nina with clear vocals and great acting. 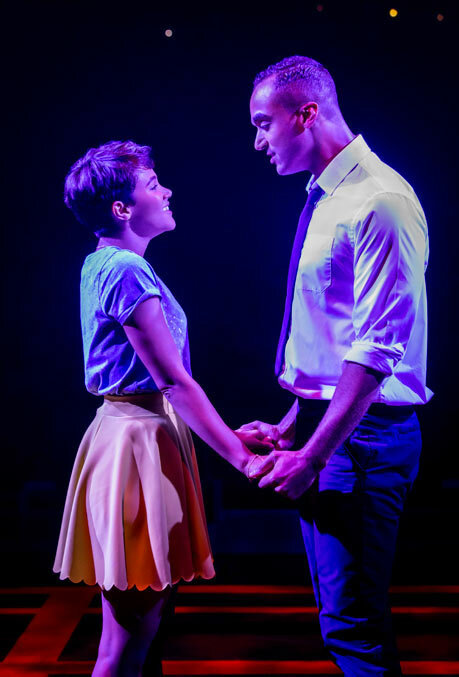 Together with Joe Aaron Reid (Benny) she provides some of the most emotional moments in the show. There really is no weak link in the cast and I could go on and on about how wonderful each and everyone on stage is but in the end this is something you should go and experience for yourself. One thing that I want to say is how truly amazing it is to see this talented cast put their heart and soul into the show. It is clear that this is not just a job for them but an experience they cherish and want to share with the audience. In the Heights makes me laugh and cry, it makes me want to get up and dance. This is an inspiring show about love, fear, hope, loss and friendship. It’s a vibrant story about everyday life in Washington Heights – musical theatre has never felt more real and alive. 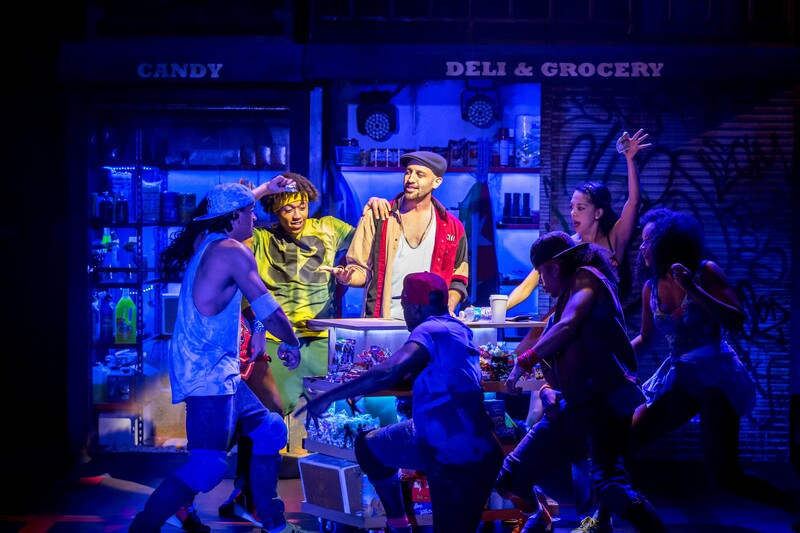 In the Heights is running at King’s Cross Theatre until January 3rd 2016. For more info and to book tickets visit http://www.intheheightslondon.com/. Update: The show is now booking until April 10th 2016. Don’t miss it!